Nike Sportswear treats the ladies to a fresh new colorway of the timeless Air Huarache runner. Introduced over the years in different variations, this particular pair of the Air Huarach runner arrives in true form. White covers most of the upper for a clean simple look, while atomic orange takes care of the tongue badge and rubber heel overlays. Teal hits the durasheen inner bootie, while a white/black sole sits below. 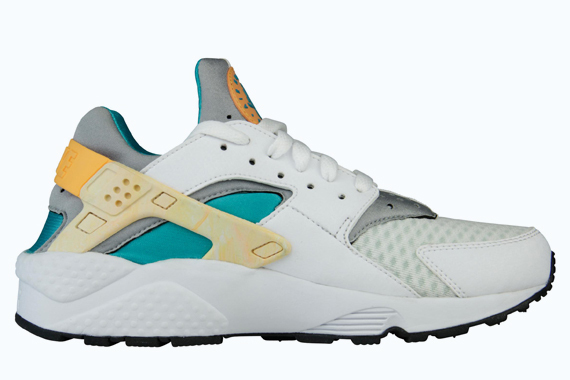 The White/Atomic Orange-Teal Nike WMNS Air Huarache is now available via Footlocker Europe.